To maximize learning potential, each participant on our Haida Gwaii course is provided with a single kayak. Double kayaks are not used during our courses. Leadership opportunities are significantly enhanced when paddling a single kayak rather than in the bow of a double. Our kayaks are strong and seaworthy; they come fully equipped with a paddle and spare paddle, a Transport Canada approved PFD (personal flotation device), a Brooks neoprene sprayskirt, a bilge pump and foot-operated rudder, as well as sealed bulkheads and two hatches. Course participants are provided with the choice of a variety of paddles, including: Lightweight Aqua-Bound carbon straight-shaft paddles, as well as ergonomic wood bent-shaft paddles made by Bending Branches. Our paddle selection ranges in length from 210 cm to 240 cm. The tents provided are expedition-tested shelters constructed by MSR (Mountain Safety Research). Equipment provided includes laminated navigational charts, tide tables, deck compass, towing system and a chart case for each participant to use during the course. Additionally, we provide a Rite in the Rain notebook for each participant to keep. Participants bring their own mirrored, declination-adjusting orienteering compass. A detailed clothing and equipment list will be provided upon registration. Arriving with appropriate outdoor clothing is essential to each participant's comfort and personal well-being during the course. 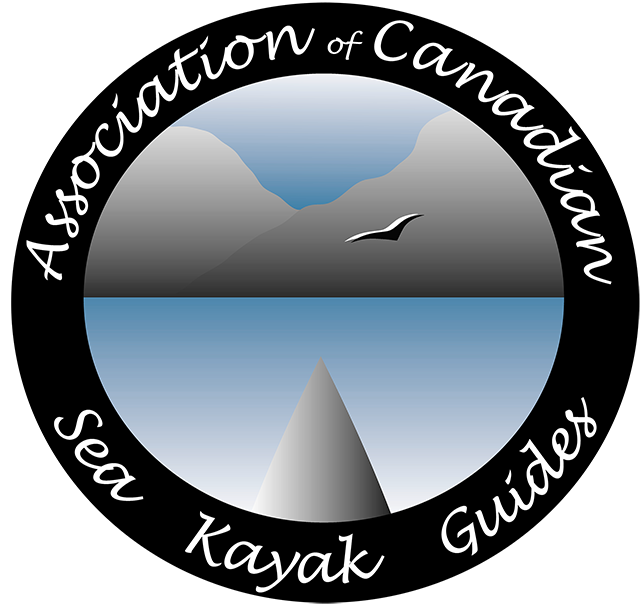 Four advance registrations are required in order to confirm the Haida Gwaii course. If you are interested in this unique journey, please consider making reservations well in advance. Participants on the Sunshine Coast course may provide their own tent and fully equipped kayak, or this equipment may be rented and delivered to our launch site.